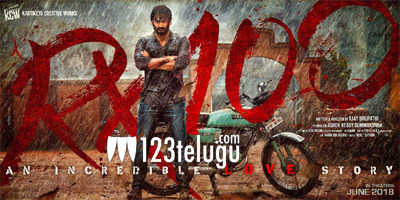 Last year it was Arjun Reddy and this time it is RX100 which has caught the imagination of many. The film which was made on a budget of just 2 crores has collected close to ten crores now and is still going strong. With this, the film has now officially entered the top ten films of the year so far. Ram Charan’s Ranagsthalam tops the list and RX is on the 10th place. The list includes some hit films like Bharat Ane Nenu, Mahanati, Jaisimha, Bhaagamathie, Tholiprema, and Chalo. Apart from this, flop films like Agnyaathavaasi, NaaPeruSurya, and Krishnarjuna Yuddham have made to the list which is based collections wise. Ajay Bhupati has directed RX100 which is based on a true story. Karthikeya and Payal Rajput play the female leads in this film which is an unconventional love story.